→ Tales Of Suspense #60 (2) (12/64) Captain America - The Army Of Assassins Strikes! → Tales Of Suspense #61 (2) (01/65) Captain America - The Strength Of The Sumo! → Tales Of Suspense #62 (2) (02/65) Captain America - Break-Out In Cell Block 10! → Tales Of Suspense #63 (2) (03/65) Captain America - The Origin Of Captain America! → Tales Of Suspense #64 (2) (04/65) Captain America - Among Us, Wreckers Dwell! → Tales Of Suspense #65 (2) (05/65) Captain America - The Red Skull Strikes! → Tales Of Suspense #67 (2) (07/65) Captain America - Lest Tyranny Triumph! → Tales Of Suspense #68 (2) (08/65) Captain America - The Sentinel And The Spy! → Tales Of Suspense #69 (2) (09/65) Captain America - Midnight In Greymoor Castle! → Tales Of Suspense #70 (2) (10/65) Captain America - If This Be Treason! → Tales Of Suspense #71 (2) (11/65) Captain America - ...When You Lie Down With Dogs! → Tales Of Suspense #72 (2) (12/65) Captain America - The Sleeper Shall Awake! → Tales Of Suspense #73 (2) (01/66) Captain America - Where Walks The Sleeper! → Tales Of Suspense #75 (2) (03/66) Captain America - 30 Minutes To Live! → Tales Of Suspense #76 (2) (04/66) Captain America - The Gladiator, The Girl, And The Glory! → Tales Of Suspense #77 (2) (05/66) Captain America - If A Hostage Should Die! → Tales Of Suspense #78 (2) (06/66) Captain America - Them! → Tales Of Suspense #79 (2) (07/66) Captain America - The Red Skull Lives! → Tales Of Suspense #81 (2) (09/66) Captain America - The Red Skull Supreme! → Tales Of Suspense #82 (2) (10/66) Captain America - The Maddening Mystery Of The Inconceivable Adaptoid! → Tales Of Suspense #83 (2) (11/66) Captain America - Enter...The Tumbler! → Tales Of Suspense #84 (2) (12/66) Captain America - The Super-Adaptoid! → Captain America (1°) #100 (04/68) This Monster Unmasked! → Captain America (1°) #101 (05/68) When Wakes The Sleeper! → Captain America (1°) #102 (06/68) The Sleeper Strikes! → Captain America (1°) #103 (07/68) The Weakest Link! → Captain America (1°) #104 (08/68) Slave Of The Skull! → Captain America (1°) #105 (09/68) In The Name Of Batroc! → Tales Of Suspense #85 (2) (01/67) Captain America - The Blitzkrieg Of Batroc! → Tales Of Suspense #86 (2) (02/67) Captain America - The Secret! → Tales Of Suspense #87 (2) (03/67) Captain America - Wanted : Captain America! → Tales Of Suspense #88 (2) (04/67) Captain America - If Bucky Lives...! → Tales Of Suspense #89 (2) (05/67) Captain America - Back From The Dead! → Tales Of Suspense #90 (2) (06/67) Captain America - And Men Shall Call Him Traitor! → Tales Of Suspense #91 (2) (07/67) Captain America - The Last Defeat! → Tales Of Suspense #92 (2) (08/67) Captain America - Before My Eyes, Nick Fury Died! → Tales Of Suspense #93 (2) (09/67) Captain America - Into The Jaws Of... A.I.M.! → Tales Of Suspense #94 (2) (10/67) Captain America - If This Be... Modok! → Tales Of Suspense #95 (2) (11/67) Captain America - A Time To Die... A Time To Live! → Tales Of Suspense #96 (2) (12/67) Captain America - To Be Reborn! → Tales Of Suspense #97 (2) (01/68) Captain America - And So It Begins...! → Tales Of Suspense #98 (1) (02/68) Captain America - The Claws Of The Panther! → Tales Of Suspense #99 (2) (03/68) Captain America - The Man Who Lived Twice! → Captain America (1°) #106 (10/68) Cap Goes Wild! → Captain America (1°) #108 (12/68) The Snares Of The Trapster! → Captain America (1°) #109 (01/69) The Hero That Was! → Captain America (1°) #110 (02/69) No Longer Alone! → Captain America (1°) #111 (03/69) Tomorrow You Live, Tonight I Die! → Captain America (1°) #112 (04/69) Lest We Forget! → Captain America (1°) #114 (06/69) The Man Behind The Mask! → Captain America (1°) #115 (07/69) Now Begins The Nightmare! → Captain America (1°) #116 (08/69) Far Worse Than Death! → Captain America (1°) #117 (09/69) The Coming Of... The Falcon! → Captain America (1°) #118 (10/69) The Falcon Fights On! → Captain America (1°) #119 (11/69) Now Falls The Skull! → Captain America (1°) #120 (12/69) Crack-Up On Campus! → Captain America (1°) #121 (01/70) The Coming Of The Man-Brute! → Captain America (1°) #122 (02/70) The Sting Of The Scorpion! → Captain America (1°) #123 (03/70) Suprema, The Deadliest Of The Species! → Captain America (1°) #124 (04/70) Mission : Stop The Cyborg! 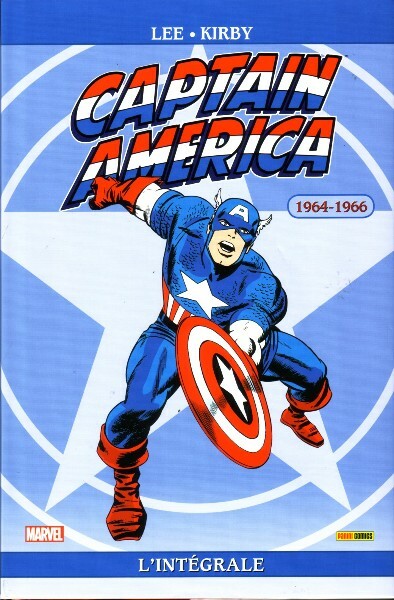 → Captain America (1°) #125 (05/70) Captured... In Viet-Nam! → Captain America (1°) #126 (06/70) The Fate Of The Falcon! → Captain America (1°) #127 (07/70) Who Calls Me Traitor ? → Captain America (1°) #128 (08/70) Mission : Stamp Out Satan's Angels! → Captain America (1°) #130 (10/70) Up Against The Wall! → Captain America (1°) #131 (11/70) Bucky Reborn! 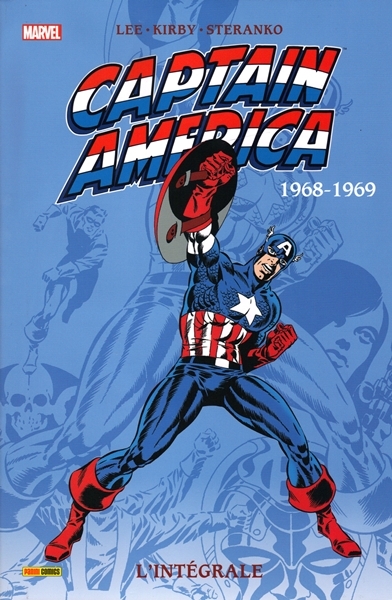 → Captain America (1°) #132 (12/70) The Fearful Secret Of Bucky Barnes! → Captain America (1°) #133 (01/71) Madness In The Slums! → Captain America (1°) #134 (02/71) They Call Him... Stone-Face! → Captain America (1°) #135 (03/71) More Monster Than Man! → Captain America (1°) #138 (06/71) It Happens In Harlem! 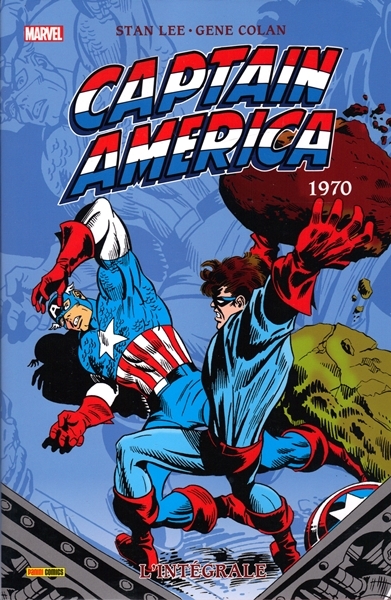 → Captain America (1°) #139 (07/71) The Badge And The Betrayal! → Captain America (1°) #140 (08/71) In The Grip Of Gargoyle! → Captain America (1°) #141 (09/71) The Unholy Alliance! → Captain America (1°) #145 (01/72) Skyjacked! → Captain America (1°) #148 (04/72) The Big Sleep! → Captain America (1°) #149 (05/72) All The Colors... Of Evil! → Captain America (1°) #150 (06/72) Mirror, Mirror...! 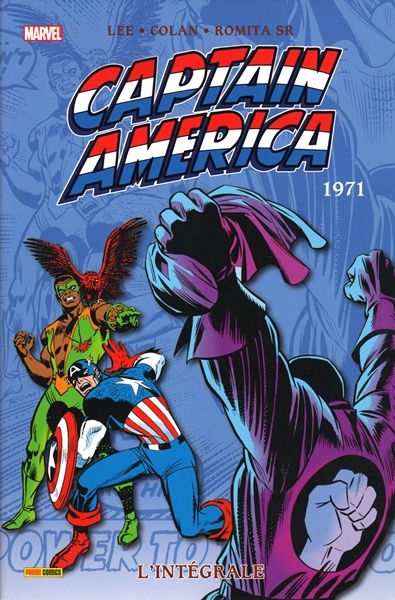 → Captain America (1°) #152 (08/72) Terror In The Night! 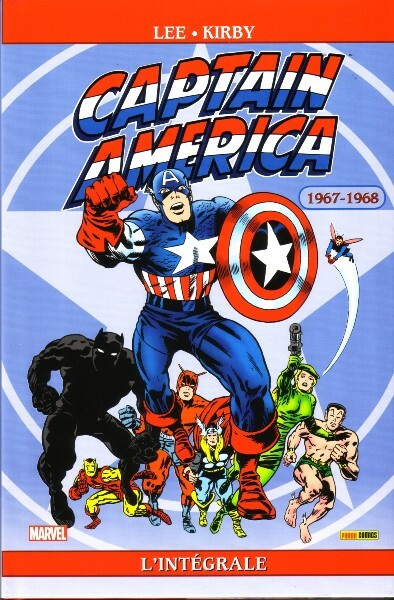 → Captain America (1°) #153 (09/72) Captain America... Hero Or Hoax ? → Captain America (1°) #154 (10/72) The Falcon Fights Alone! → Captain America (1°) #155 (11/72) The Incredible Origin Of The Other Captain America! → Captain America (1°) #156 (12/72) Two Into One Won't Go!